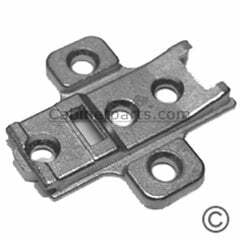 This European style hinge accommodates overlays of up to 25mm. Features include all metal construction with polished nickel finish, 3 dimensional adjustment in hinge arm and a 165° opening angle. 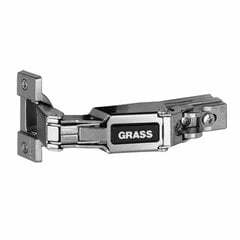 Grass 3000 Series hinge/plates are now discontinued. Both hinge & plate MUST be replaced with new Tiomos Series parts.